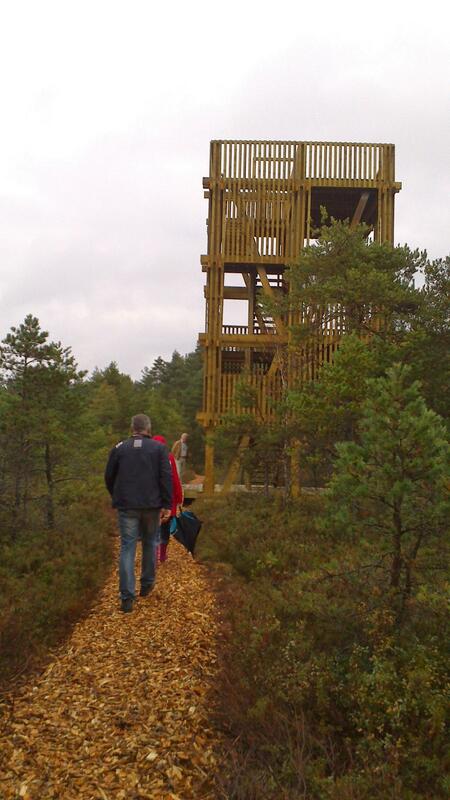 Restrictions Up to 6 people allowed in the observation tower! Driving directions When coming from the mainland, drive along the Väinatamm causeway towards Kuressaare up to the Orissaare–Laimjala road junction. Turn towards Laimjala and drive 4 km up to the the sign “Koigi matkarada 3 km”. Follow the sign to the gravel road in Koigi village. Drive through the village and follow the sign past the fields to a forest road. You will get to a gravel parking area. There is the start of the hiking trail.